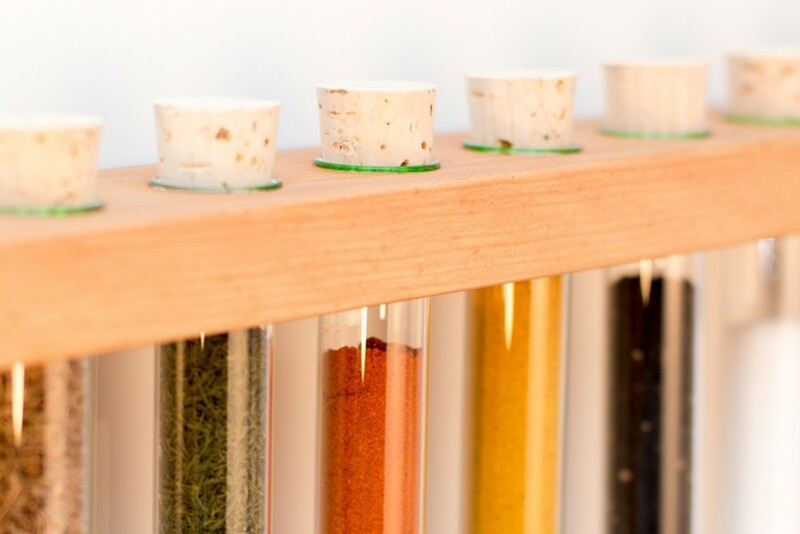 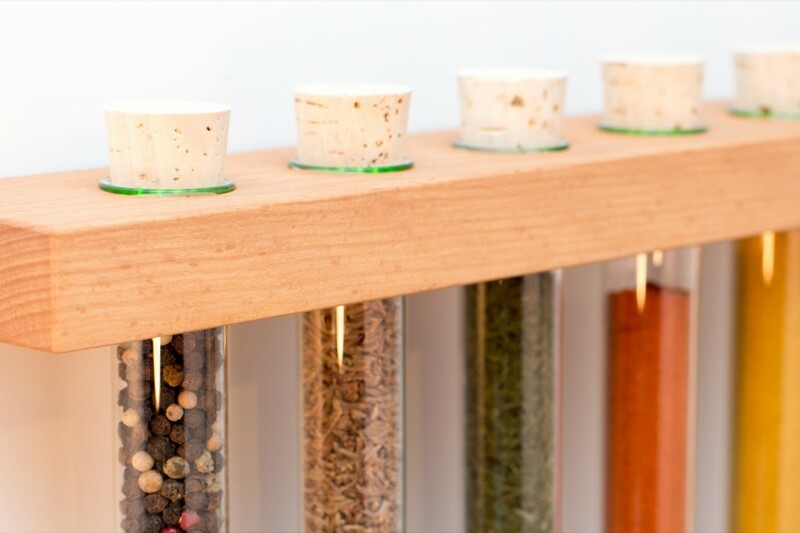 Our spice rack for the kitchen is a showcase for your spices and herbs. 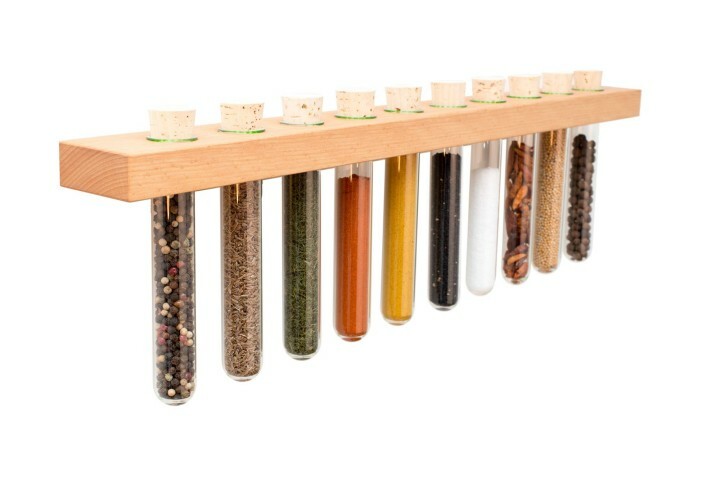 10 test tubes (with cork tops) are held in a solid beech wood bar. 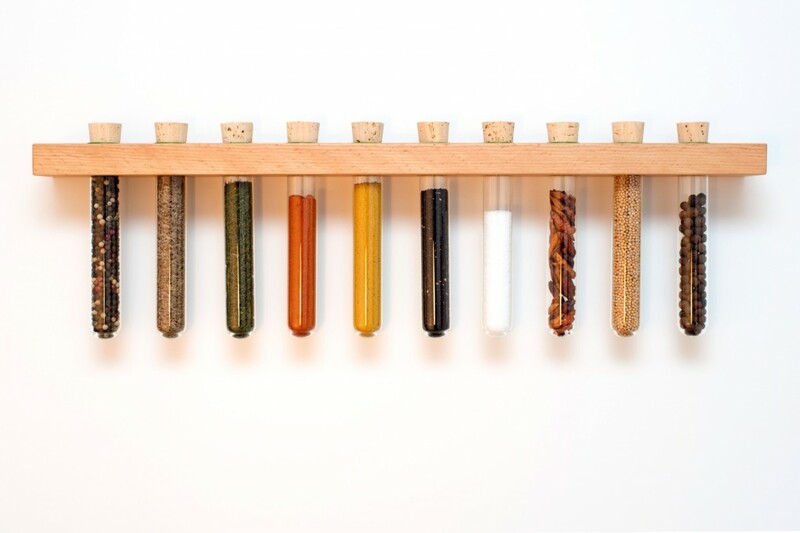 The tubes can be removed for filling and cleaning purposes.